How’s that for a nerdy post title? Globecanvas here. 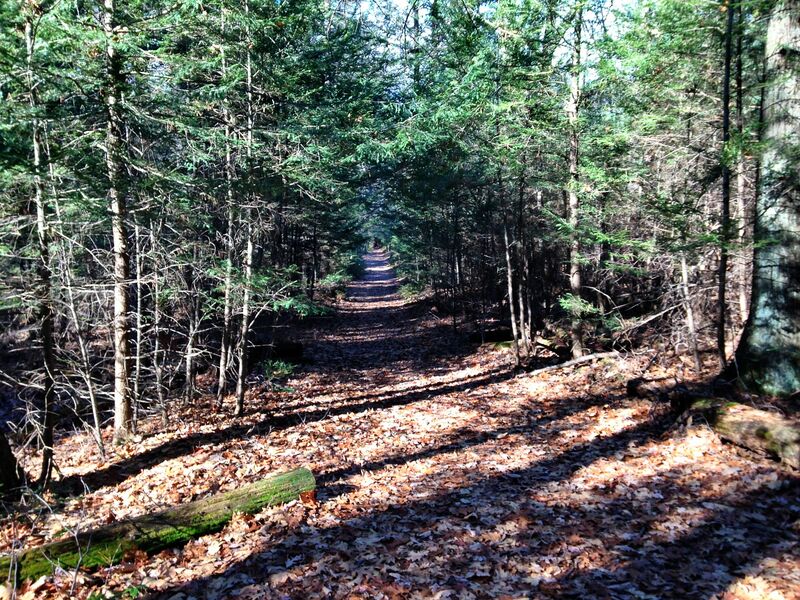 In my previous post, I wrote that you might like to follow the Mohonk Preserve route I posted, or you might just want to bike into the Preserve and see where the spirit takes you. That advice works in the Preserve, because the carriage roads are dense, and intersections are frequent, relatively speaking. It does not work in the Catskills. As with any mountain range, the topography of the Catskills defines a system with sparse edges (that is, mountain passes) and infrequent vertices (that is, intersections). Unless you have lights, lots of food, and no evening plans, you should at least casually plan your route before cycling into the Catskills. For example, imagine you are starting in Woodstock and you want to climb both Platte Clove and Kaaterskill Falls. Even though both climbs are within 7 miles of Woodstock, you have to ride 85 miles if you don’t want to retrace your route. These two climbs happen to be the only passes through the entire eastern escarpment of the Northern Catskills, so if you want to get from the top of one to the base of the other, you have to ride a long way around. Climbing Peekamoose in the Southern Catskills has the same problem. Starting from Rosendale, the climb is less than 20 miles away, but the shortest loop that includes Peekamose is 70 miles long. Of course, these are only “problems” in the mathematical sense of the word. After all, long, scenic roads with no intersections are the whole point of riding through the Catskills! The only actual problem is finding enough hours in the day to ride where you want to go. I started from Rosendale, because I live there, but I also mapped the route from New Paltz if you prefer to start there. 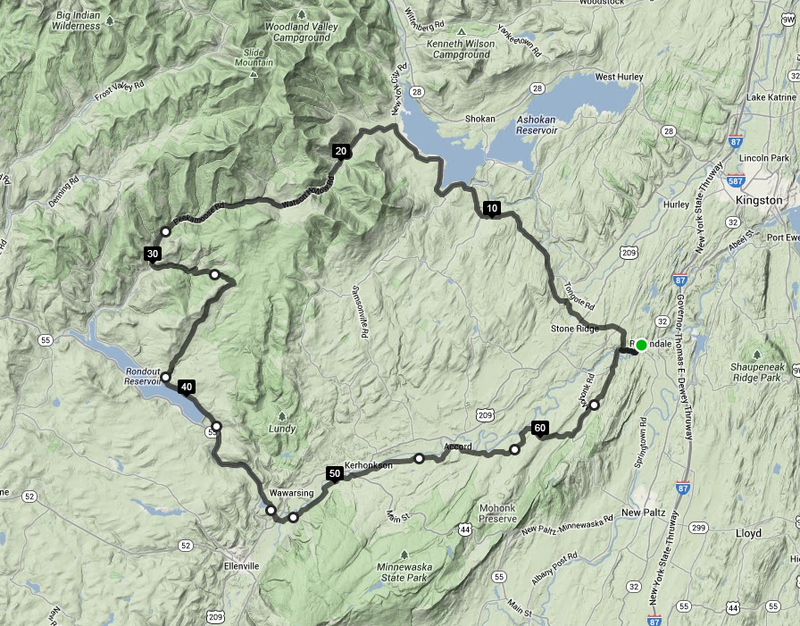 Either way, this route has over 100 feet per mile of climbing, so be prepared for a nice low average speed. The first part of the ride is on some very quiet, pretty roads along the back side of the Shawangunk ridge. Towpath Road and Stony Kill Road are personal favorites, winding roads with varied terrain and occasional vistas looking toward the Southern Catskills. 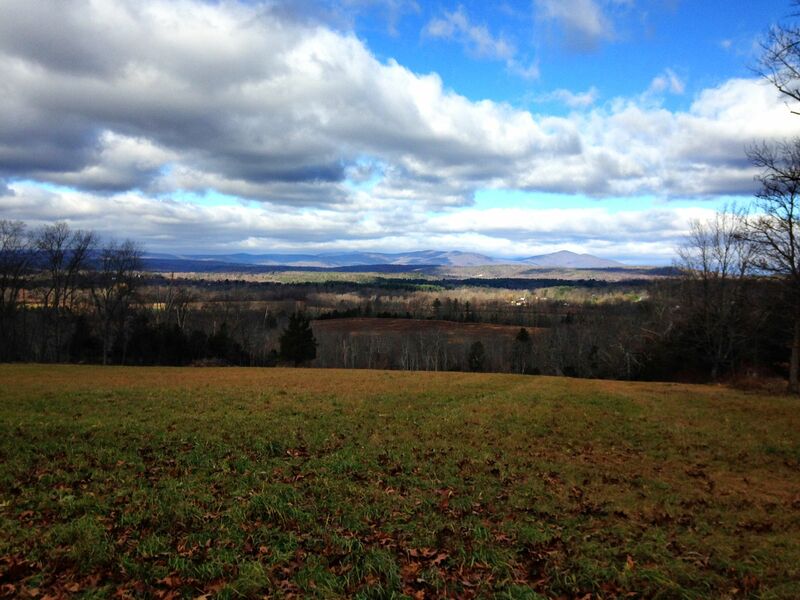 The peak to the far right is Ashokan High Point. We’ll be there in about 2 1/2 hours. After a high speed descent down the ridge into the sad-looking hamlet of Kerhonkson (sorry, Kerhonksonians), the road turns upward again as the route enters the Catskills highlands. The highlight of this part of the ride is Upper Cherrytown Road, a lovely 10-mile stretch of road with no intersections, along the edge of the mountains. I was impressed by the even distribution of these cows. I also had a bit of deja vu. This may be the second time these cows have appeared on this blog. This part of the ride is a long, gradual climb to the Vernooykill Falls trail, which John F has written about before. This path is the only way through the Southern Catskills over to the next pass to the west, but it’s borderline on a road bike, so although it’s a lovely path, I passed on by. The houses and farms along the west side of the road all have mountains in their back yards. This is Mombaccus Mountain, a minor Catskills peak with a couple of nice steep dead-end climbs. 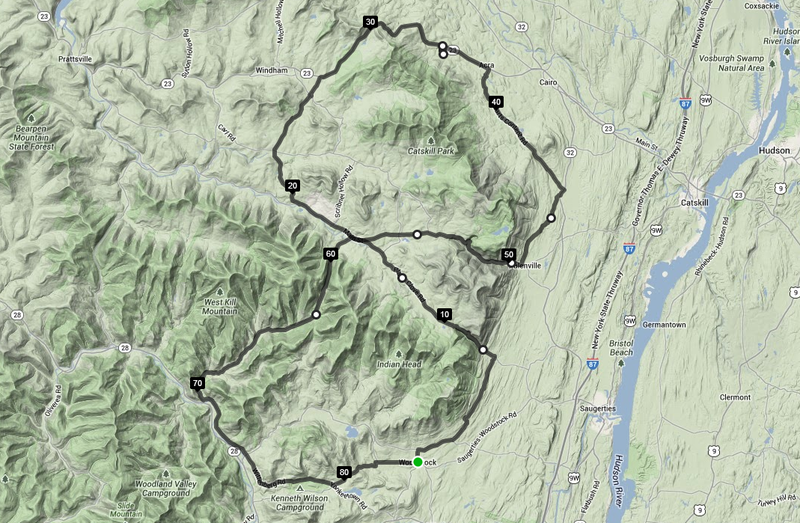 The route then circles Ashokan High Point. 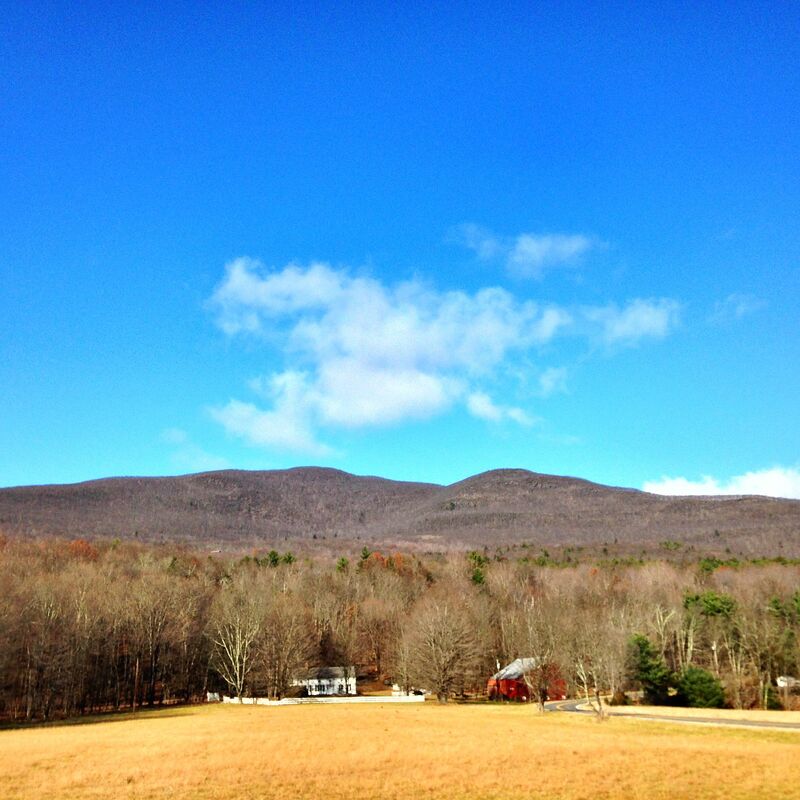 It’s not the highest mountain even in this part of the Catskills, but its high prominence catches the eye from as far away as Dutchess County. High Point Mountain Road is a five star road that follows the skirts of the mountain, with occasional peeks at the Ashokan Reservoir below. The road is mostly up, but with short and quite steep descents. One of the descents has a farm at the bottom with all sorts of roaming chickens, guinea hens, and assorted avian road hazards. Be careful! Newman once ran over a chicken here and was then chased by an irate farmer. The road also ends in a steep downhill to a stop sign, so be careful there as well. At the end of High Point Mountain Road, a right turn leads to Route 28A, which circles the west end of the Ashokan Reservoir and crosses the Esopus Creek. 28A ends at Route 28, which is the major route through the center of the Catskills, and a road best avoided on a bicycle. It’s somewhat scenic, but the combination of high-speed traffic and the valley wind tunnel effect is unappealing. Luckily, two excellent roads lead off the other side of Route 28. Piney Point Road is a great option if you are heading towards Woodstock. I was about ready to start heading back, so I chose Upper Boiceville Road, which looks at first like an access lane for the high school parking lot, but in fact leads to a surprisingly tough climb up Bostock Mountain Road. This is 2 miles at almost 7% grade, the final 3/4 mile at over 9%. Even on a ride with over 6700 feet of climbing, this hill stands out in the elevation profile, at mile 43. The top of Bostock Mountain was the high elevation of the ride, but unfortunately the road is on the back side of the summit and wooded, so no breathtaking vistas. A fast descent leads back to Route 28, thankfully less than a mile from Reservoir Road, which crosses the Ashokan Reservoir, and leads to the maximally scenic path along the south side. Plenty of mountain vistas here, including a spectacular view of the Burroughs Range. 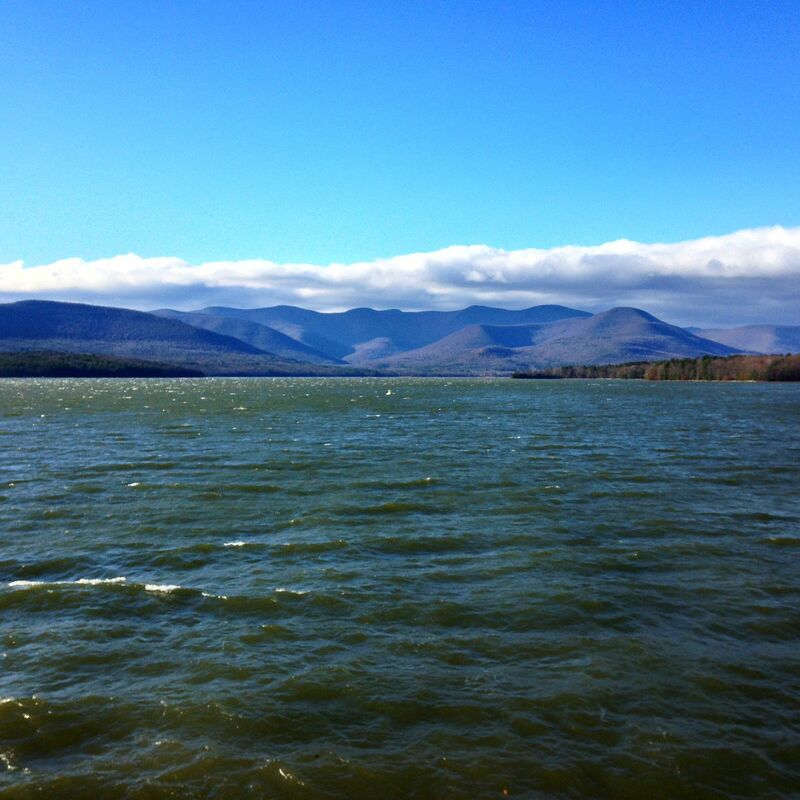 At least 6 of the Catskills high peaks are visible in this photo, including Slide Mountain dead center, the highest peak of all. Also visible are whitecaps on the reservoir. It was a very windy day! 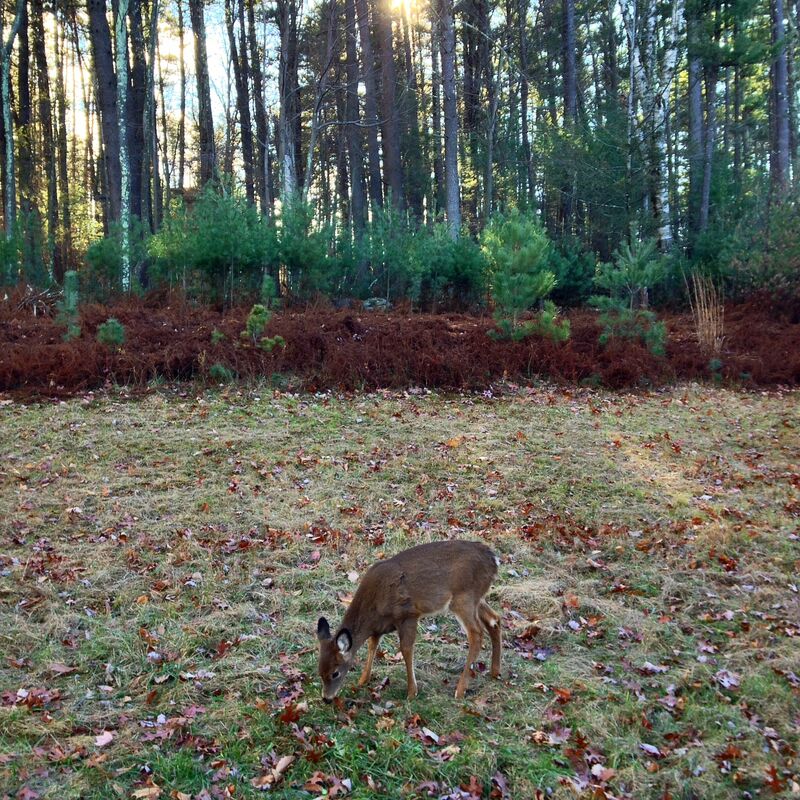 After I took that photo I turned around to find a young deer nonchalantly grazing behind me. I could have reached out and pet it if I wanted to. I give this adorable road hazard about 3 weeks to learn what cars are, or else result in a bad day for somebody. From there, it was a familiar and mostly downhill roll home. One thing I like about this ride along the edge of the Catskills is its roundness. As I mentioned earlier, cyclists tend to avoid out-and-back routes. A corollary, I suppose, is that especially round routes are extra appealing, at least to me. Maybe that’s weird. Alternate route starting in New Paltz here, raw GPX file here. 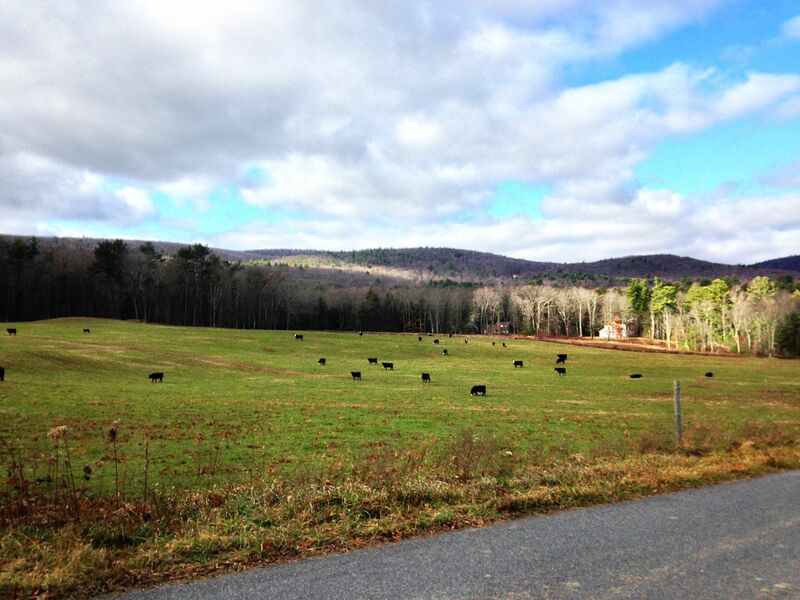 This entry was posted in bicycles routes rides, catskills, routes on November 21, 2013 by John Schwartz.